Jacob is a Consultant in our Manchester office. He works alongside Geoff Baines, providing a high quality and consultative service to the Manchester and North West legal sector. Jacob has over 2 years recruitment experience with Robert Half (the world’s largest finance recruitment firm). 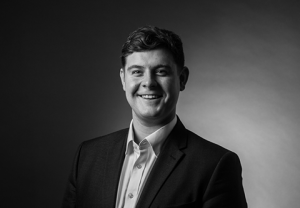 Jacob has grown up being immersed within the legal sector, as many of his family are lawyers and barristers; as such, the move to legal recruitment has been a natural one. Jacob is happiest when skiing and running the family small holding: looking after the horses, sheep, goats, ducks and of course his two emus Fred and Wilma! Jacob was a very keen horseman and represented Northern England at the Tetrathlon Championships at Hartpury College for many years and was a member of the open boys team that won the competition.